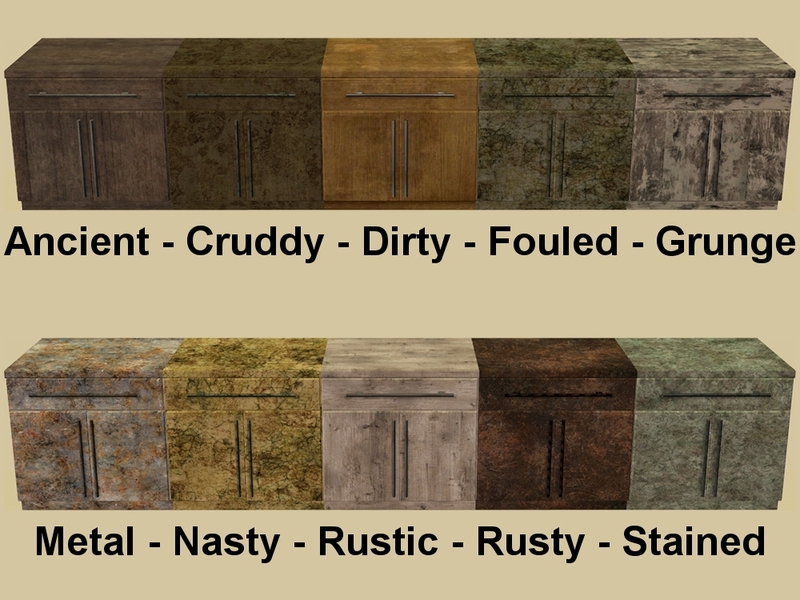 10 random grunge recolours of the Kitchen Basic Set by Buggybooz. 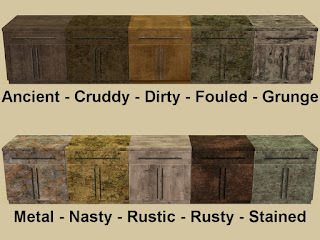 I have included a txt, in the zip file from Buggybooz listing all meshes slaved to this Kitchen Counter, with links to where you can download them. If you are one of the few people who does not already have kitchen basic in your game you can get it at BB's Retreat. All colours have a clean and a dirty state. These are base game compatible, no EP's or SP's required! Found: Buy Mode > Surfaces > Counters. Price: §139.